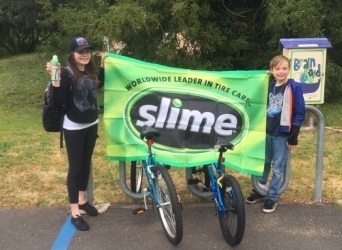 Slime and Genuine Innovations support the kids at Laguna Middle School, San Luis Obispo, CA for BIKE TO SCHOOL DAY. Prevent flats with Slime and get to school on time! Thank you Joe Bowman, Consumer Marketing Manager for these photos and a successful Bike to School Day!